Heat a few lugs of oil in a griddle pan and fry the crunchy peppers for 2-3 minutes. Chuck in the beans, 100 ml water and sprinkle over the Quesadilla Spice Mix. Simmer for 2-3 minutes, and then stir in the coriander. Brush a large frying pan with a little oil. Add a corn tortilla and pile on some tangy tomato salsa. Spoon over a quarter of the spicy mixed beans and the freshly grated cheese, Place another corn tortilla on top and cook over a moderate heat for 2-3 minutes. Press down with a spatula until the hot cheese starts to melt. 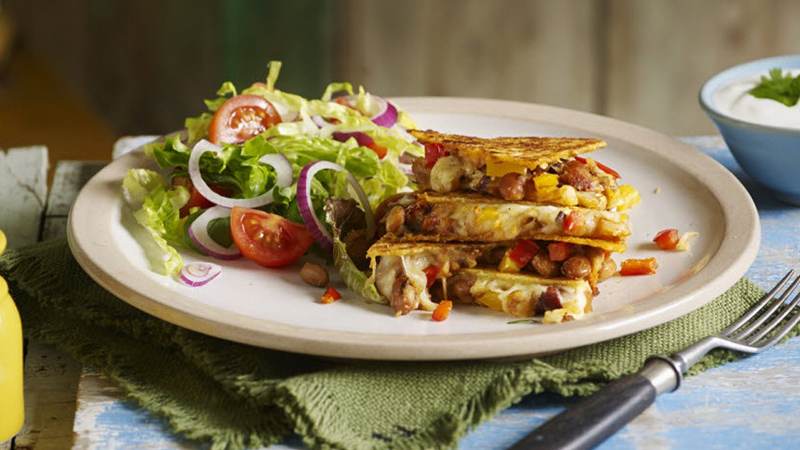 Repeat with the rest of the corn tortillas stacking them high with plenty of tangy salsa and piles of grated cheese. 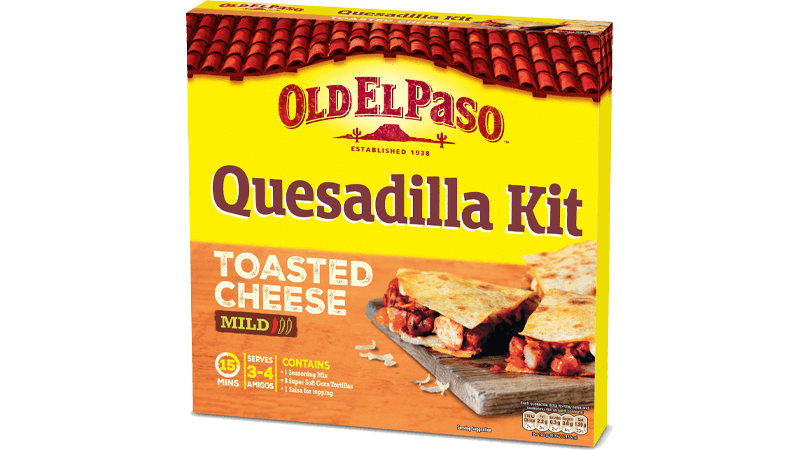 Slice the spicy quesadilla into wedges and let everyone tuck in.